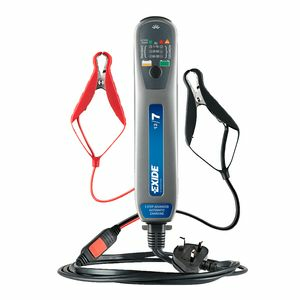 Easy to install for permanent high rate and float charging. Output rating suited to capacity and charging characteristic of 90 AH AGM battery. Real cost saving against C-Tek charger. Recommended by Joe at Tayna. Excellent service and delivery. Thank you. Compact and fast charge great charger. Easy to use and work perfectly. Excellent price, neat & tidy solution. Can charge standard as well as AGM/Gel. Just select amp hours & type of battery you are charging and leave it to do its thing.